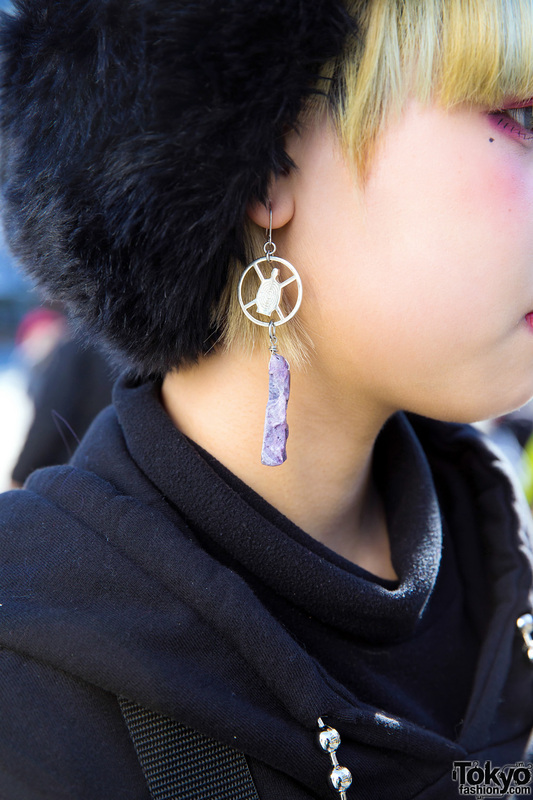 Meet 16-year-old students Sagumo and Mahiro, whose stylish take on winter dressing caught our eye in Harajuku. On the left is Sagumo, who donned a black turtleneck under a BERCERK black graphic hooded sweatshirt with cut-out shoulders. She wore them with Nike black-and-white track pants with snap closures on the sides. 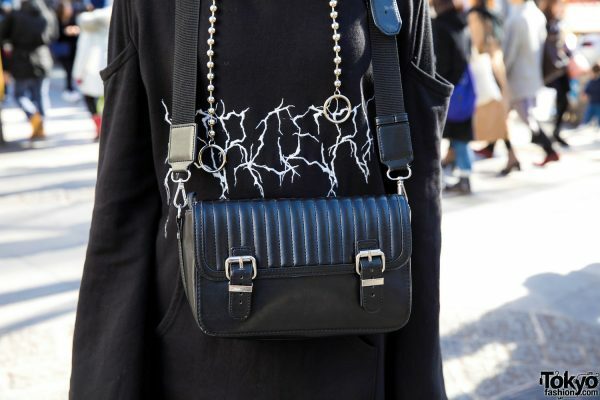 Sagumo hid her cropped blonde hair under a black fur hat and strapped a black leather bag around her neck. 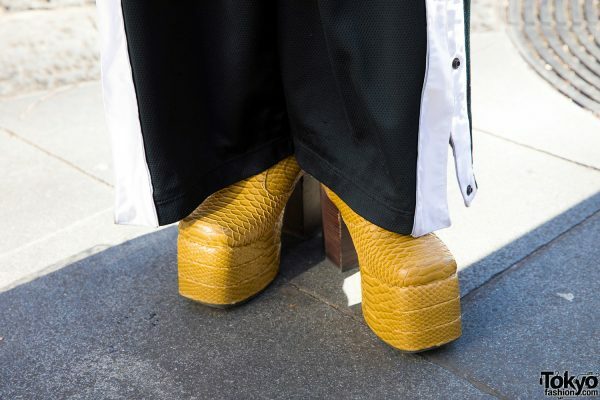 She added dashes of color to her ensemble with pink eye makeup, pink lips, and yellow snakeskin shoes from London Boots, which featured square toes and contrasting wooden block heels. 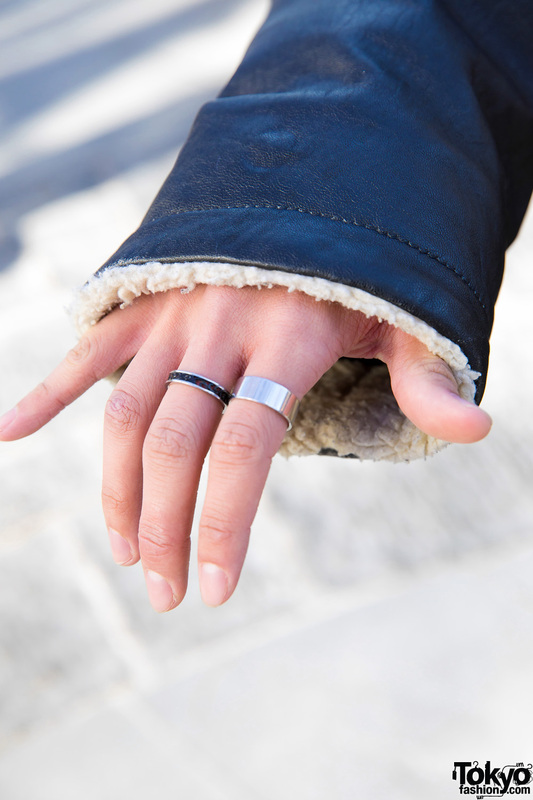 All of her accessories are from M.Y.O.B., which is her favorite fashion brand. She also enjoys listening to music from Big Bang and G-Dragon. Follow Sagumo on Instagram and Twitter. 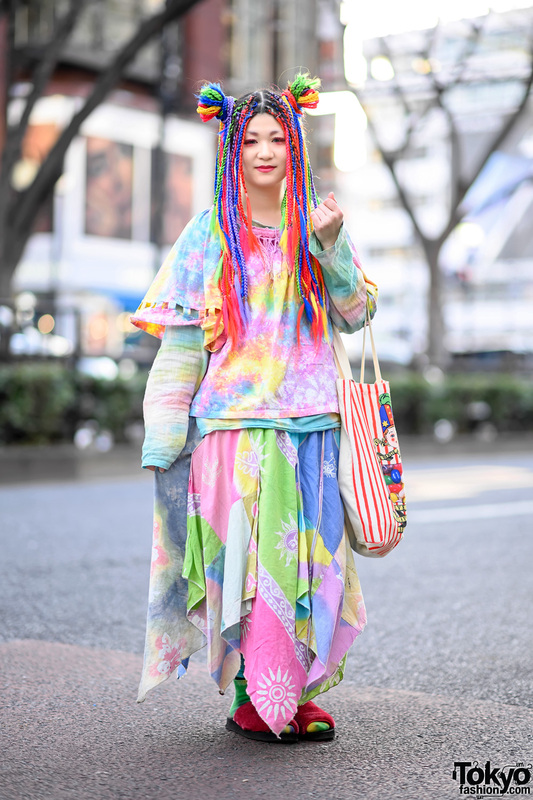 To her right is Mahiro, who showed off his layering skills while out and about in Harajuku. He wore a white turtleneck under a black button-down shirt, which he styled with a grey plaid blazer and grey striped shorts. Mahiro covered up with a black leather jacket, which was lined with contrasting white shearling. 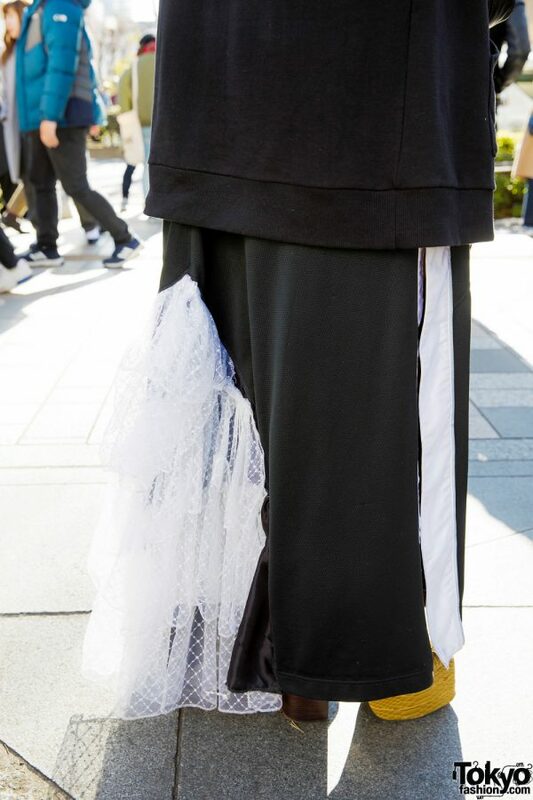 He wore them with brown-and-yellow printed socks and black platform wedge lace-up shoes from Yosuke. 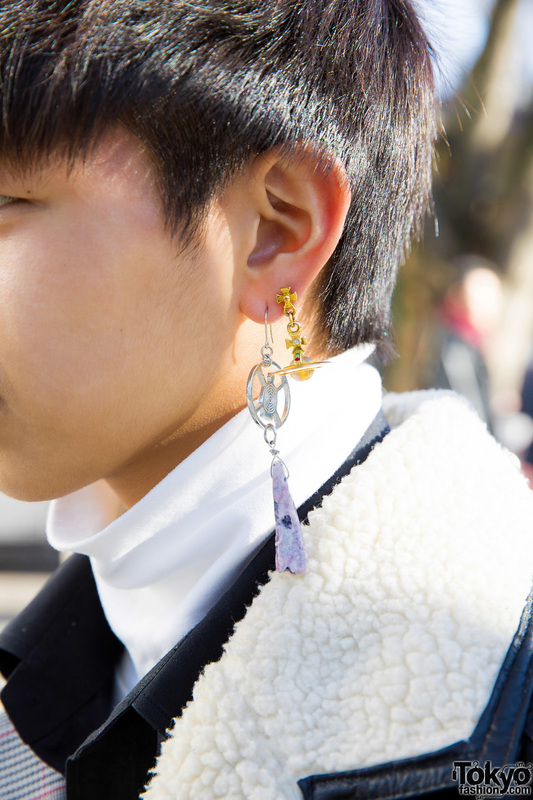 Mahiro capped off his look with L.H.P. 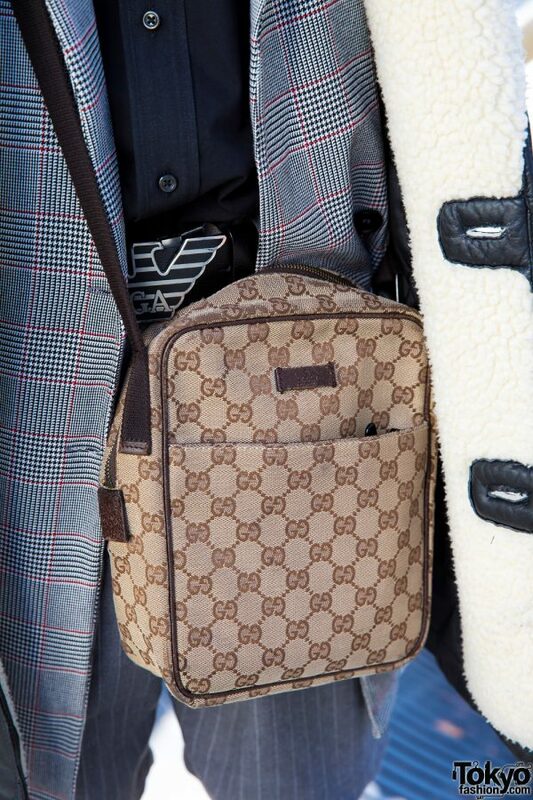 accessories and a Gucci bag slung across his chest. 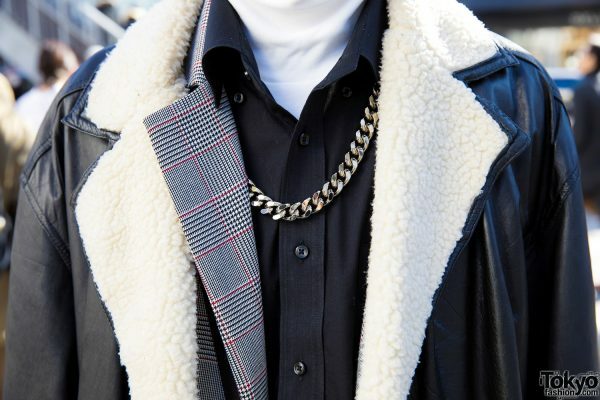 His favorite fashion brand is Gucci, while his favorite musical artist is G-Dragon. He is also active on Instagram.